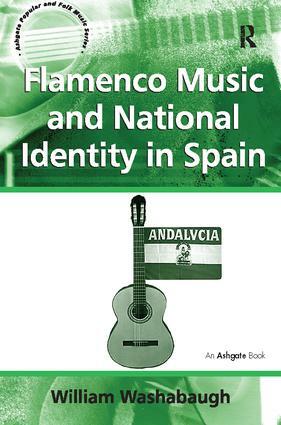 Flamenco Music and National Identity in Spain explores the efforts of the current government in southern Spain to establish flamenco music as a significant patrimonial symbol and marker of cultural identity. Further, it aims to demonstrate that these Andalusian efforts form part of the ambitious project of rethinking the nation-state of Spain, and of reconsidering the nature of national identity. A salient theme in this book is that the development of notions of style and identity are mediated by social institutions. Specifically, the book documents the development of flamenco's musical style by tracing the genre's development, between 1880 and 1980, and demonstrating the manner in which the now conventional characterization of the flamenco style was mediated by krausist, modernist, and journalist institutions. Just as importantly, it identifies two recent institutional forces, that of audio recording and cinema, that promote a concept of musical style that sharply contrasts with the conventional notion. By emphasizing the importance of forward-looking notions of style and identity, Flamenco Music and National Identity in Spain makes a strong case for advancing the Spanish experiment in nation-building, but also for re-thinking nationalism and cultural identity on a global scale.